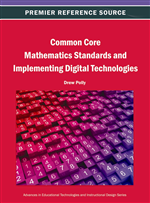 The Common Core State Standards (CCSS) call for a change in the way mathematics is taught. The mathematical practices outlined by the CCSS call for mathematics as a problem-solving endeavor, rather than routine exercises and practice. A quick Web search can provide mathematics teachers with an abundance of workshops and courses, examples, and videos of the different mathematical practices to help them understand what they mean and look like in practice. However, those examples do not go far in changing the current culture of mathematics instruction. In this chapter, the authors discuss current US mathematics instructional practices and how the CCSS are asking for distinctly different teaching practices. In addition, the authors share how the innovative Using Squeak to Infuse Information Technology Project (USeIT) sidestepped traditional mathematics instructional approaches and utilized problem-solving activities and the development of computational models to support students’ learning of STEM concepts. The authors illustrate how the design, development, and implementation of a Squeak Etoys and Problem-Based Learning (PBL) activity addresses the CCSS expectations for mathematics content, practice for learning, and assessment, and discuss what this means for mathematics teacher education and professional development. Traditionally, teaching mathematics has focused on procedural knowledge or what Davis (1984) called “rote mathematics” (p. 8), in which learning information and facts and applying formulas rather than learning relational or conceptual knowledge (“meaningful mathematics”) have been emphasized (Davis, 1984; Skemp, 1976). In rote mathematics or routine processes the successful and automatic use of rules, algorithms or procedures have often been perceived to be necessary and sufficient for conceptual knowledge, thus, factual knowledge is augmented with demonstrations of how to solve a problem and then students are asked to solve similar problems by identifying the right formula, plugging data into it, and accepting whatever answer is reported by their calculator. However, modern cognitive science and approaches in learning mathematics demonstrate that procedural knowledge usually involves automatic and unconscious steps whereas conceptual knowledge typically requires conscious thinking. Using only procedural knowledge, a learner may skillfully combine two rules without knowing why they work. Furthermore, rote mathematics does not show how mathematics is used in the real world, which by no means is routine, thus making it difficult to understand and not motivational. Teaching mathematics as a complex thinking and problem solving skill, on the other hand, is interesting and motivating (Zimmerman, Fritzla, Haapasalo, & Rehlich, 2011). Unfortunately, emphasis on problem solving and conceptual understanding in mathematics teaching has not made its way in the classroom. Stigler and Hiebert (2004) suggest that mathematics teaching has not changed much in the last 100 years. Their review of videos from the Trends International Mathematics and Science Study (TIMSS) provided little evidence that classroom practices reflect the goals of teaching reform. Stigler and Hiebert (2004) found that eighth-graders in the United States spend little time in the classroom engaged in understanding mathematics concepts instead most of their time is devoted to practicing routine procedures. They claim, “even when the curriculum includes potentially rich problems, U.S. teachers use their traditional cultural teaching routines to transform the problems and reduce their instructional potential” (2004, p. 17). This finding is discouraging given the expectations of the newly adopted Common Core State Standards.